We all make paper planes, and now is your chance to fly in one for the biennial Queen’s Theatre Community Musical in July. It is another Ross, Sweeney, O’Sullivan written piece, this time featuring the heroics of William Leefe Robinson, with the chance to appear on stage starting with an open audition at the Billet Lane venue, on Saturday April 12 from 10am to 3pm. I can see the facial wrinkles now as you ask ‘who was Leefe Robinson’? He was a Hornchurch flyer fêted round the country as the first Royal Flying Corp pilot to shoot down a German airship in the First World War. Flying from an airfield at Suttons Farm, Hornchurch, he brought down the airship with its load of bombs over Cuffley in Hertfordshire on the night of September 2/3 1916 for which we was awarded the Victoria Cross. it was perhaps the best propaganda coupe of the War, witnessed by thousands as the flaming airship fell to the ground. Up to then the death toll taken by the Germans appeared to be unassailable with the enemy flew over England, dropped their bombs and flew home again unopposed. An engagement at 11,500 feet balanced the equation and Robinson closing to 500 feet of the airship, gave it a full burst with machine gun fire, sending the giant airship down in flames. The dramatic scene was reported widely with little snippets to warm the cockles of the battered population such as, spontaneous cheering and singing of the national anthem with one Londoner even playing the bagpipes. I therefore moved to one side and gave them another drum along the side – also without effect. I then got behind it and by this time I was very close – 500 feet or less below, and concentrated one drum on one part (underneath rear). I was then at a height of 11,500 feet when attacking the Zeppelin. Using a combination of explosive bullets, (later called tracer bullets) individually invented by Flight Lt Brook of the famous firework family and similar explosive bullets invented by John Pomeroy, the volatile and highly inflammable Hydrogen gas of the airship ignited. Following a flag waving tour of the UK, Leefe Robinson was transferred to France with 48 Squadron flying Bristol F2 fighters. 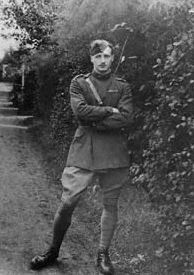 He was shot down on his first sortie by fighters from Jasta 11 led by Manfred von Richthofen. Wounded and captured he was imprisoned and kept in solitary confinement after several escape attempts. He died on December 31 1918 at his sister’s home in Stanmore and buried in All Saints’ Churchyard in Harrow Weald. His death was attributed to a weakened state of health brought on by the time spent in solitary confinement. His last fight was against the effects of a Spanish Flu pandemic which he lost. He was only 23. Robinson Close in Hornchurch is named after him. So now you know. 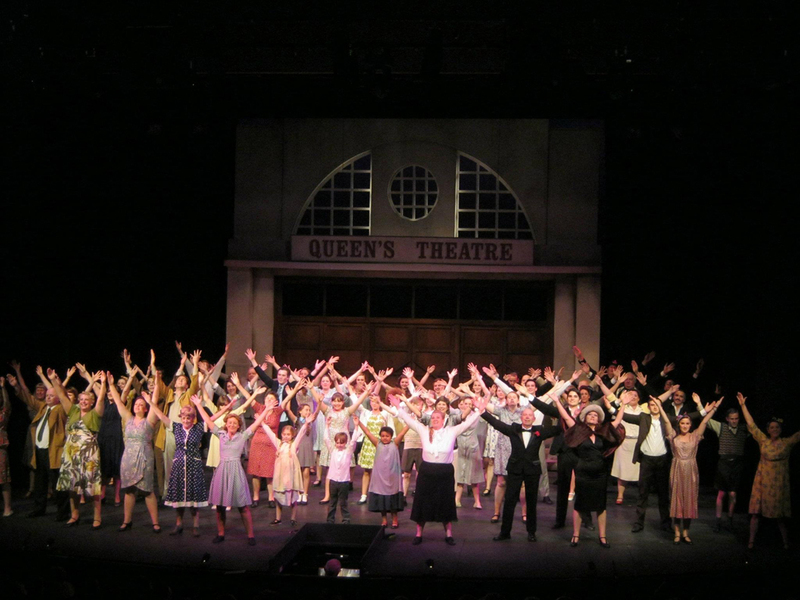 Not that the writing team and director, Patrick O’Sullivan will be expecting any heroics on stage, but the beauty of the Community Musical is that it is performed by amateur actors with or without experience, though the ability to sing is important. The Queen’s professionals guide the way and over the past decade or so have produced theatre filling shows covering five days. All are welcome also and they would like to see young men as there are plenty of roles for pilots and soldiers. The other asset will be enthusiasm and commitment above anything else. All you have to do is turn up on the day with a song (verse and chorus) and a two minute speech from a play if you fancy yourself in major role. Otherwise for smaller parts those will be taught an audition song on the day. Anyone interested in joining the backstage crew just say so. Being involved is amply rewarded with a magical insight and involvement in real theatre. Don’t miss out.